Our Wedding Collections are based on hours of coverage, # of photographers, and the # of images you want in your Album. Because I feel that it is so important for you to be comfortable working with me by the time your Wedding Day arrives, all of our Collections include either an Engagement Session OR your choice of an Engagement, "Rock The Dress" or Boudoir Session. Because these Collections represent a significant savings over purchasing a la carte, no substitution or elimination of any item may be made. Help! I don't know how much coverage I'll need! Don't worry...I'm here to help. Our Luxe Collection is geared toward couples who want photographs at several locations so that we have time worked into the Wedding Day timeline for extra travel/photo stops. This Collection is also the Collection to purchase if you desire a gorgeous Heirloom Album that includes a great deal of your images. The Album included in this Collection is the "cream of the crop" and is offered at a significant savings over purchasing the same Album a la carte at a later date. The Chic Collection is our most popular Collection and the one that most of our couples choose. 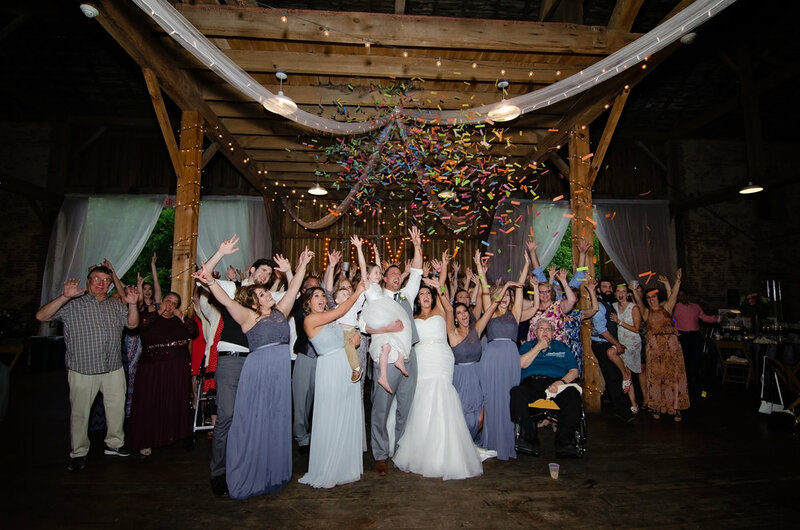 This Collection provides ample time for photos on your Wedding Day, provided Ceremony & Reception are fairly close in distance to one another and you only want a brief stop nearby for photos with the rest of the photos taking place at your Ceremony and/or Reception location. This Collection also includes our top Album with enough images to tell the story of your day. Again, this Album is offered at a substantial savings over purchasing a la carte. The Classic Collection is perfect for small, intimate weddings taking place at a smaller venue or someone's home. It is also ideal for those couples who wish to have ceremony-only or reception-only coverage, as well as for those couples who had a destination wedding and are celebrating with a reception only for friends/family. Of course, these are just guidelines, please think about what will work best for your day. If none of the options above fit what you are looking for, please reach out. I would be happy to customize a collection just for you!